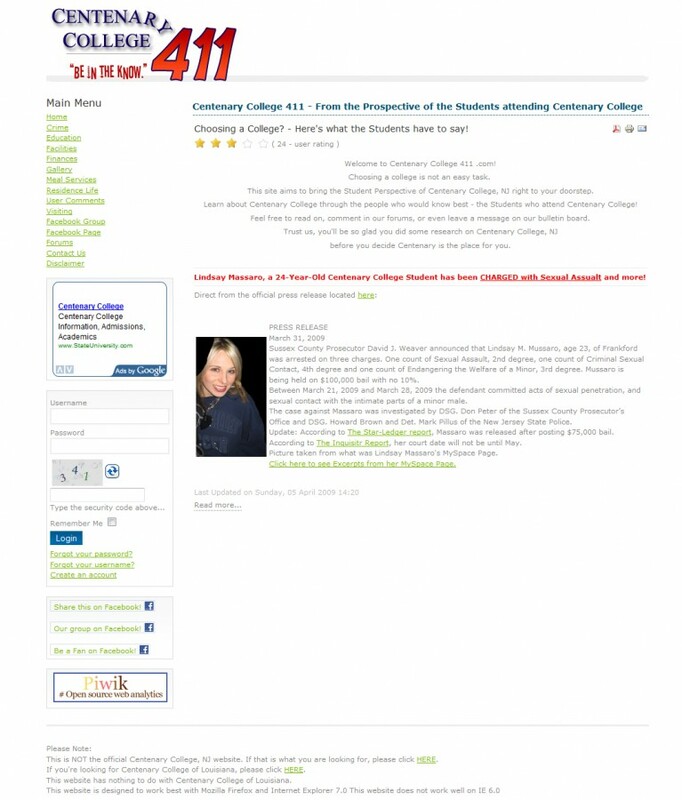 CentenaryCollege411.com was started after many students at Centenary College had enough with the terrible conditions, policies, and procedures the college was enforcing. The college charges approximately $40,000 a year; however, the individuals behind this website feel they aren’t getting what they pay for. The website started as CentenaryCollegeSucks.com; however, after feedback from faculty, staff, and students, the original developers felt that this domain name was not getting their point accross in the best way possible. Soon after, the domain was changed to CentenaryCollege411.com. This domain certainly allows the developers the ability to cover much more material. Be sure to check out the site!